Dr. Paul Albert has received the top research award from the Canadian College of Neuropsychopharmacology (the Heinz Lehmann Award) for his “outstanding and innovative research” in mental health. Nearly 30 years ago, Dr. Albert performed the first detailed studies on two genes that play a key role in how brain cells talk to each other (the serotonin and dopamine receptor genes). He went on to show that mutations in the serotonin receptor gene are associated with depression, suicide and reduced response to antidepressants, and he dissected the underlying molecular pathway. His research could lead to new treatments for depression that could be tailored to a patient’s genetic profile. Dr. Albert is also investigating innovative approaches to treat post-stroke depression. According to Dr. Albert, the award reflects the hard work and dedication of his many trainees over the years. Dr. Albert is a Senior Scientist and Associate Scientific Director of the Neuroscience Program at The Ottawa Hospital’s Research Institute. 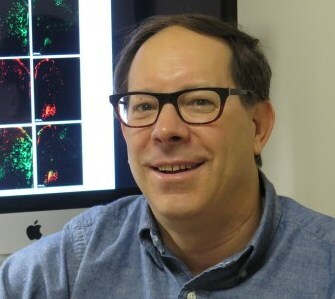 He is also a Professor with the University of Ottawa Brain and Mind Research Institute and holds the Canadian Institutes of Health Research / Novartis Michael Smith Chair in Neuroscience.